Baby Bump is a themed collection that at first may not appear to have many uses. Don't be fooled!! The Baby Bump collection has some great trendy patterns and the colors are perfect for spring! This Misc Me is the perfect example. 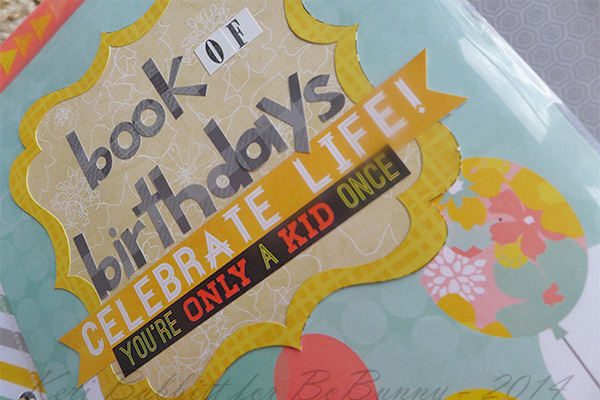 Keri uses her Baby Bump Misc Me Journal to scrap each year of her daughters birthday celebrations. This week's theme is the lovely new Baby Bump collection, and today I want to show you how versatile this collection is, using the Baby Bump Misc Me products. 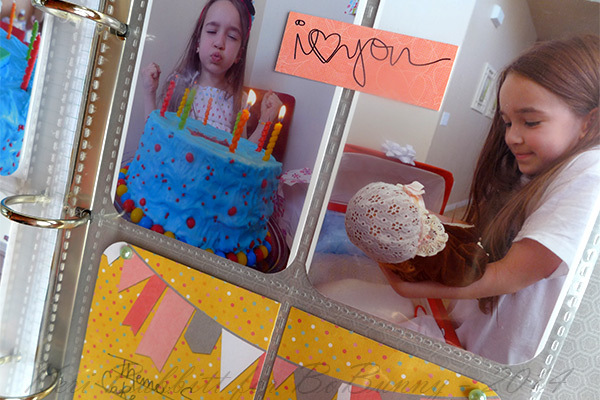 celebration phrases, is perfect for birthday photos too! This Misc Me album is the starting point to chronicle my daughter's birthday parties, year by year. 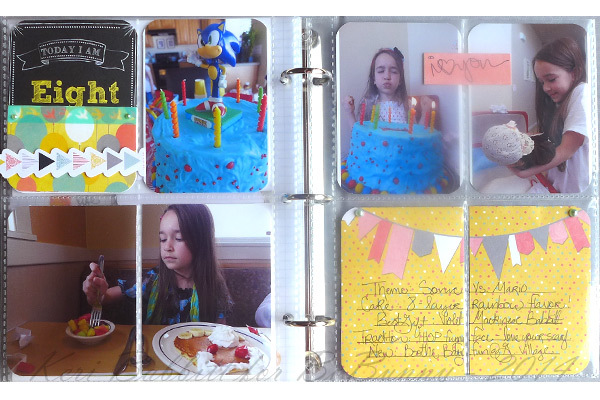 To begin the album, I started with album-description journaling, stickers of my daughter's birth dates, and a peek-a-boo page with two favorite photos. 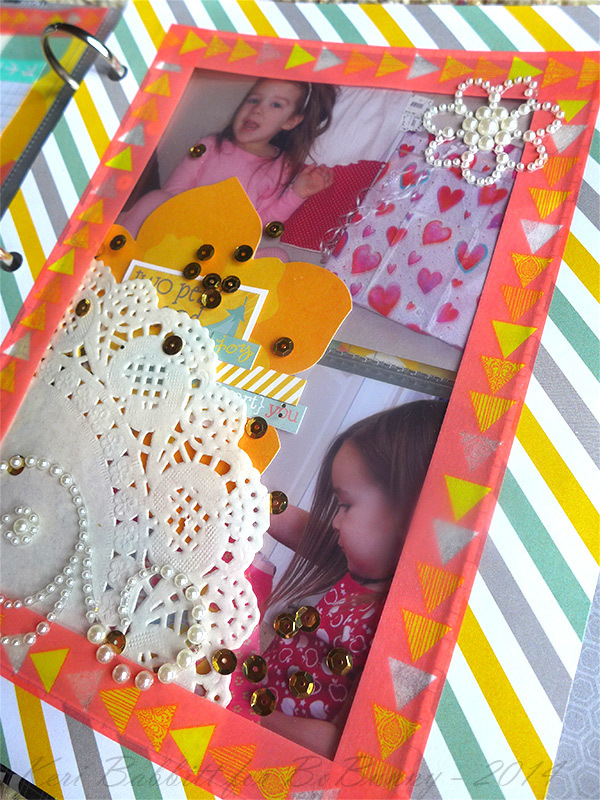 I love creating these see-through decorative pages, with a peek to the photos beyond. 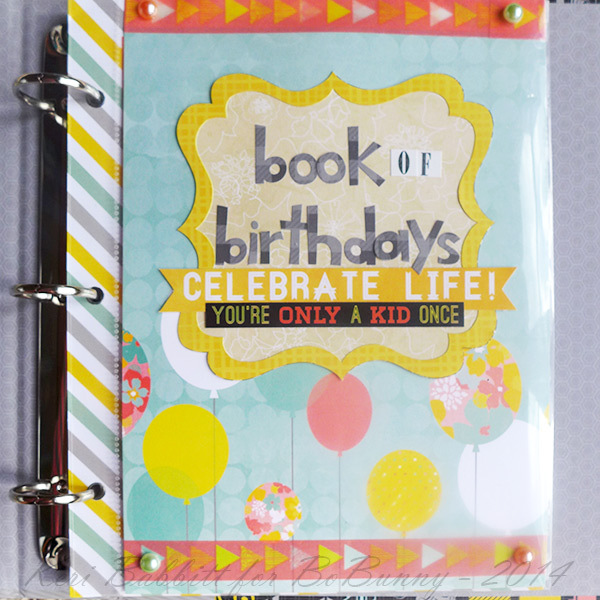 Each 2-page spread for the rest of the album, will showcase a birthday year, highlighting things like: the party theme, the cake, the favorite gift, the birthday tradition. 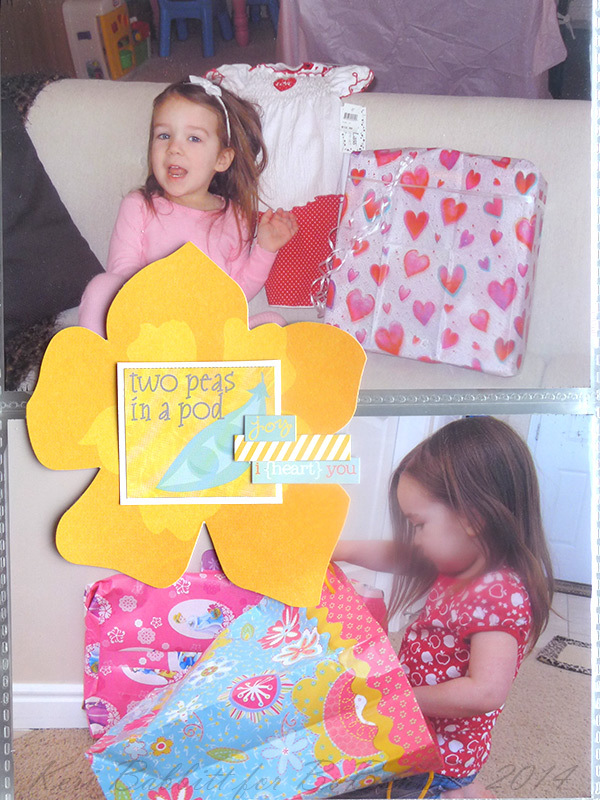 The new Misc Me journaling card packs make this process so quick and fun. 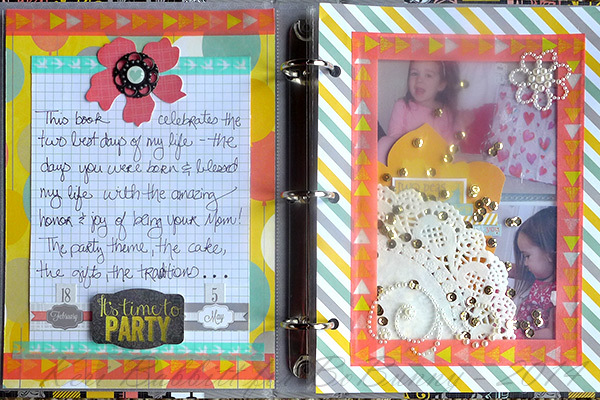 For my pages, I slipped in the journaling cards + photos, then layered over the top of the page protector with a few fun embellishments, like stickers, jewels, diecuts, and the new and wonderful washi tape. This process is simple to repeat for each year, and I love that I can even make future-year pages ahead of time, and just slip in the photos and add journaling when the time comes. It's a great low-maintenance project, easy to make but full of special memories. Such a great idea and such sweet photo's! Beautifully done! Adorable job on this one!